Should Schools Promote the Success Sequence? 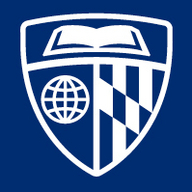 As one of the nation’s top-ranked research institutions, the Johns Hopkins School of Education is a leader in providing outstanding learning opportunities for teachers, counselors, special educators and public safety personnel who share its commitment to making a difference in the lives of people it serves. The school offers high-quality instruction in a rich learning environment taught by some of the nation’s most preeminent scholars who bring passion and real-world expertise to the classroom.